Front-line treatment of acute promyelocytic leukaemia (APL) consists of all-trans retinoic acid (ATRA) and anthracycline-based chemotherapy. In this setting, a comparison of idarubicin and daunorubicin has never been carried out. Two similar clinical trials using ATRA and chemotherapy for newly diagnosed APL were compared using matched-pair analysis. One was conducted by the PETHEMA/HOVON group with idarubicin and the other by the International Consortium on APL (IC-APL) using daunorubicin. Three hundred and fifty patients from the PETHEMA/HOVON cohort were matched with 175 patients in the IC-APL cohort, adjusting for the significantly unbalanced presenting features of the two entire cohorts. Complete remission (CR) rate was significantly higher in the PETHEMA/HOVON (94 %) than in the IC-APL cohort (85 %) (P = 0.002). The distribution of causes of induction failure and the time to achieve CR were similar in both cohorts. Patients who achieved CR had comparable cumulative incidence of relapse and disease-free survival rates, but lower overall and event-free survivals were observed in the IC-APL cohort, which was mainly due to a higher death rate during induction therapy. A higher death rate during consolidation therapy was also observed in the IC-APL. These results show that daunorubicin and idarubicin have similar antileukaemic efficacy in terms of primary resistance, molecular persistence, as well as molecular and haematological relapse rates when combined with ATRA in treatment of APL. However, a higher toxic death rate during induction and consolidation therapy was observed in the IC-APL cohort. This trial was registered at www.clinicaltrials.gov as #NCT00408278 [ClinicalTrials.gov]. The authors thank all participating institutions and clinicians in the PETHEMA/HOVON and IC-APL studies. This work was supported in part by Cooperative Research Thematic Network Grant RD12/0036/014 (Instituto de Salud Carlos III and European Regional Development Fund). 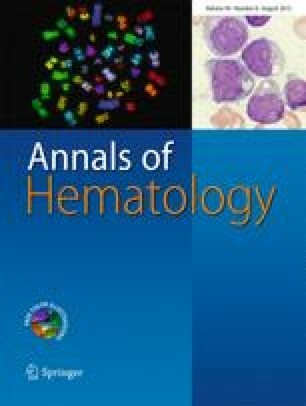 The authors are thankful for the support of the American Society of Hematology, Fondazione Umberto Veronesi, Roche South Arabia, Fundação de Apoio à Pesquisa do Estado de São Paulo (Grant No. 1998/14247-6), Fundacion Mexicana para la Salud, St. Jude Children’s Research Hospital and Cephalon Europe. M.A.S. conceived the study and analysed and interpreted the data; M.A.S., F.L-C., A.G., N.B., R.C.R., B.L. and E.M.R. wrote the paper; P.M. and H. K. performed the statistical analyses; E.M.R., G.J.R.-A., M.S.U. and L.M. were the national coordinators in Brazil, Mexico, Chile and Uruguay, respectively; M.R.U., R.H.J., H. G-A., R.A.M.M., R.B., R.P., K.P., E.M.F., E.V., A.H., Ch.R., P.F., J.d.S., S.B., E.d.L, J.G-C., J.M.R. and I.K. included data of patients treated in their institutions, reviewed the manuscript and contributed to the final draft.